What Weapon Will You Choose!? There are 8 different kinds of weapons that characters can equip! Fists, Swords, Spears, Bows, Guns, Axes, Staves, and one new type of weapon that is new to this series. 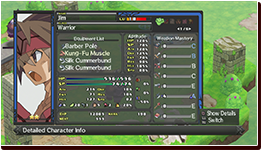 Each of weapon type has its own unique properties. Humanoid characters can equip any type of weapon, but each character will only have a limited number of weapon types that they are good with. Equipping them with weapons they're good with will allow them to get more out of their weapon. Sword The most standard of all melee weapons. Nothing really stands out about it, but it also doesn't really have any weaknesses either. It's really easy to use. The look of Swords range from something a knight would use in the west to a sword a samurai would used in the east! Axe Smash enemies with all your might! In terms of damage, it's probably the strongest of all weapon types. 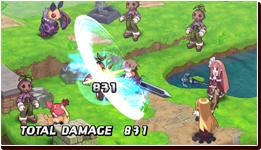 Characters can crit easier with an Axe, and as an additional effect, its attacks can lower the DEF of enemies. 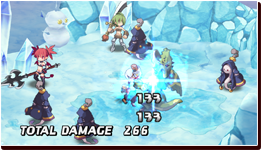 However, since Axes are heavy, characters must sacrifice some SPD in order to use them. Gun Futuristic weapons that can attack enemies from a distance. Their attack range is limited to straight lines, but they have the longest range of any weapon type. 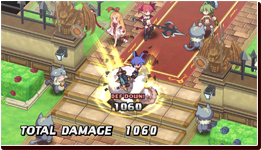 On top of that, the closer characters are to their targets, the more damage they'll deal. Depending on the situation, you can play around with the distances! Fist A weapon that relies on SPD and extra attacks to deal more damage. 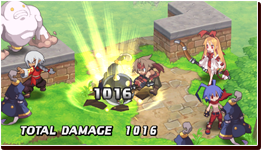 Damage from Fists depend on the character's ATK, as well as SPD. 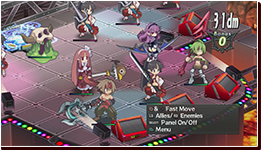 When using a Fist, there is chance of doing multiple attacks. Spear Has superior reach and can pierce through multiple enemies. The attacker doesn't need to be next to its target, so it's good when you don't want to be counter attacked. It can also attack enemies that are either really high, or really low compared to the character. 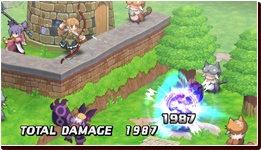 If there is an unit between the attacker and the target, the Spear will also hit the unit between them. Staff The Staff greatly increases the magic power of the character that uses it. Magic users will find them very useful. It can be used as a melee weapon, but its damage is based on the wielder's INT. Bow A long range weapon that allows characters to attack from a distance. It is less affected by height differences than other weapons, making ideal for really bumpy stages. It's also useful for backing up other characters from afar. 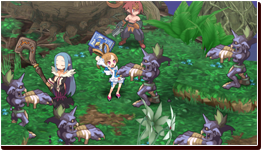 A New Way of Fighting Has Been Introduced to the Netherworld—With Books! 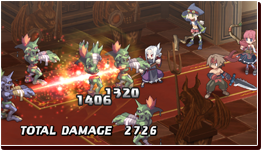 Use Summon Spells Wisely! Book The new weapon is the Book! 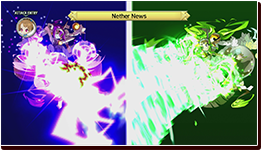 Its unique style is using summoning attacks. Even the most normal looking books can become the strongest weapon on the battlefield! Out of its pages come monsters and spirits! 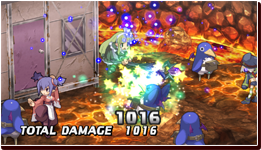 For example, you can summon a salamander fire beast to deal massive damage! 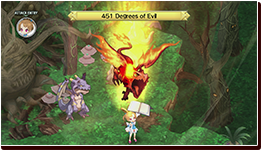 There are many types of books ranging from demon text books to magical manuscripts! Some books are worthy of being weapons, but some are just ridiculous to use as weapons. 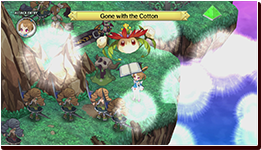 Just like Staves, Books can also be used as blunt weapons! Imagine getting hit by the corner! Yikes! The More Use a Weapon, the More Skills You'll Learn With it! Each character will get better at using weapons the more they use them. As your experience with a weapon (Weapon Mastery) increases, characters will learn more weapon-specific Special Skills. 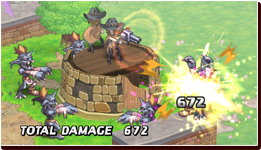 If that character is also good with that weapon (Weapon Aptitude), their Weapon Mastery will increase faster, thus they'll learn how to use that weapon to its full potential faster!